A man is not made or defined by how many houses he has, the range of cars he drives, the size of his bank balance, the vast acreage he posseses, his titles and definitely not by the size of his biceps or how chiselled his abs are. All these things are nothing but wind, they can be gone in less that a minute. Cars depreciate from the first day they leave the manufacturers’ yard. Bank Accounts can have an overdraft! Titles fade with one scandal or one stroke of a pen. A man is defined by the matters of his heart, his character, integrity, truthful, faithfulness, justice, humility, love and vision. These values will make a man stay. 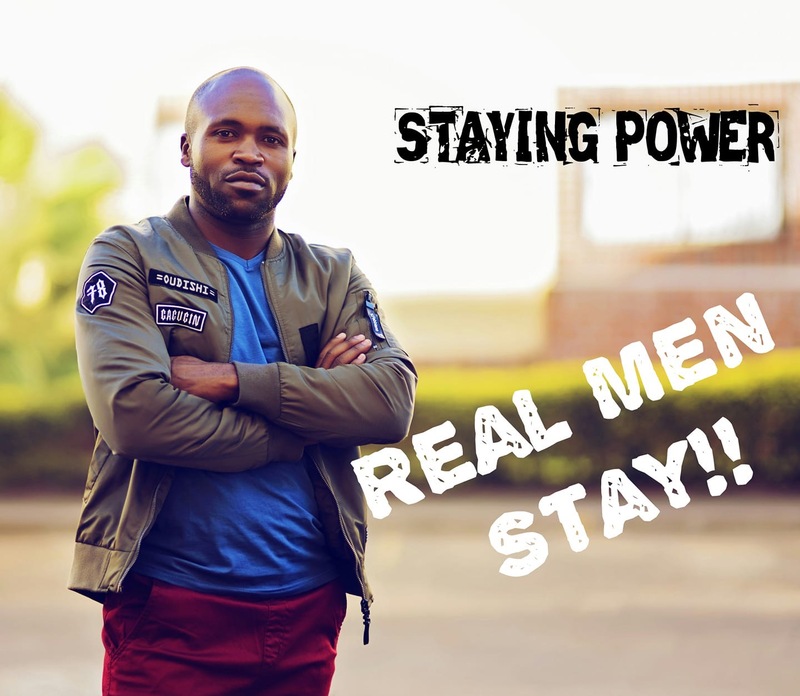 In a world where fathers have left their children, husbands have left their wives, men have left their God given positions of dominion, authority, mentorship and leadership, it’s no wonder there are weak families and ultimately the church. Nowadays the world is on a diminishing trend of men who STAY. Men who keep their PROMISES. Men who do not turn away from their COMMITMENT. Men who don’t LEAVE their wives for strange women. Men who STAY with their children teaching and instructing them on the way they should go. Men who will STAND for what is right in a world full of corrupted minds. Men who will STAY through the thick and thin. Men who will be STRONG and BOLD enough to STAND for what they believe in. Men who will provide VISION. They are the first to FORGIVE. They are the first to BUILD bridges. They fix the mess, even when it’s uncomfortable. They don’t Abandon their families even when it’s convenient to do so. The Staying Power makes and Marks a man!